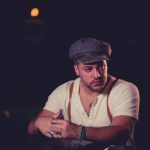 Today Matt welcomes Zeiss, a singer/songwriter hailing from Lindenhurst, NY. 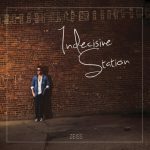 With a rich Rock and Roll background and an album out called Indecisive Station, Zeiss chats with Matt about the writing process for the album, how long it was in the works, and the inspiration for many of the tracks. With Matt, Zeiss also tackles the importance of performing live and emphasizes how much he values a strong “live music” scene in an artist’s life. He also talks about the role his family has played in his music career before getting into some upcoming projects (including a new single and another album). He even expressed his wish to branch out into other genres — such as opera! interviews, rock, rockabilly, singer/songwriter. Bookmark. CCP Ep. #200: The Top 10 Billboard Hot 100 Episode 200 Spectacular!